The White Centurions were printed by Theory 11 under the Bicycle brand. They are a special limited edition of their regular Centurions, and there are alledgedly printed less than 1100 decks. 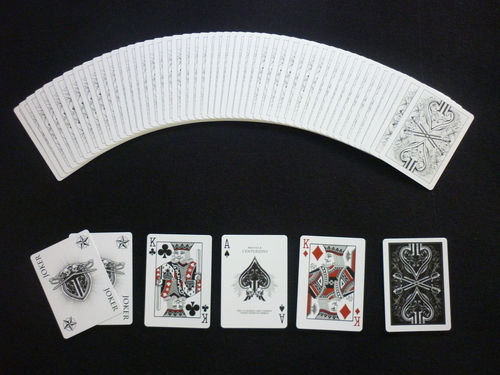 They come with a custom Ace of Spades, two custom jokers, special colored court cards and a white/black double backed gaff card. The box they come in is all white with a plastic "window".